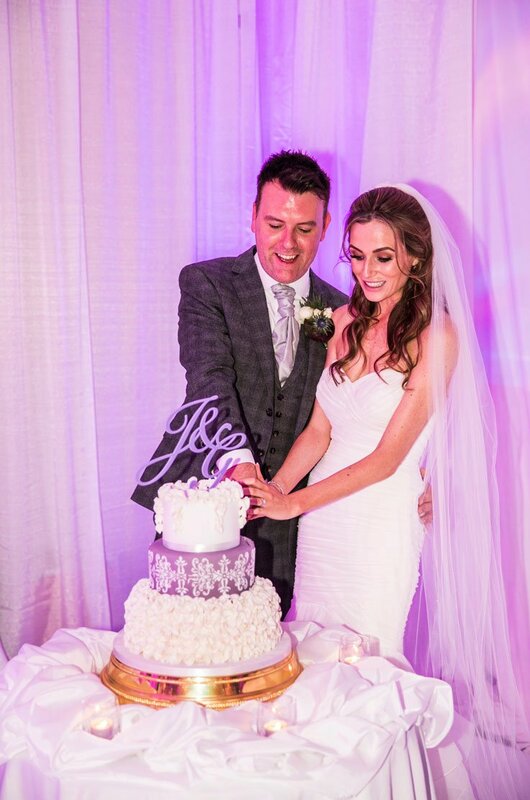 After getting engaged at Dromoland Castle in Ireland, we knew we had to get married in that beautiful country with breathtaking views. I was so nervous about finding my dress and after visiting and trying on a few from other boutiques, when I arrived at Helena Fortley the 2111 style was the first dress I tried on. My mum and sister just looked at me and said, *that’s the one”. It was perfect for my shape and height and I honestly felt so confident wearing it. Having the option to add a belt on after the first dance made a great day to night look! 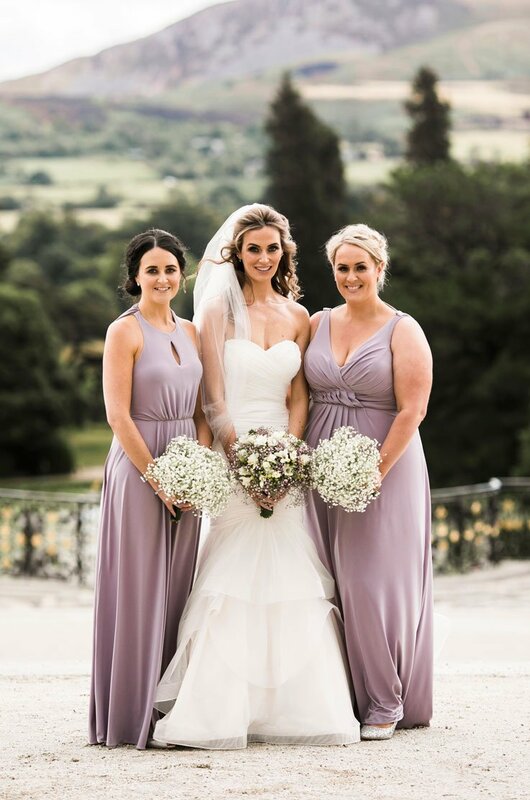 Powerscourt is the most stunning venue, we wanted our guests to feel like they had been transported into a magical world so went with white carpets and draping to give a glamorous vibe with silver and lilac touches. Our first dance involved a big curtain drop which really surprised our guests! We had such a variation of music from strings to piano, bagpipes to djs! It really was magical from beginning to end.